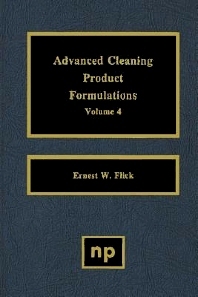 This book presents more than 435 up-to-date advanced cleaning product formulations for household, industrial and automotive applications. All formulations are completely different from those in other volumes. Manufacturers (of all sizes) of cleaning agents for household, industrial and automotive applications.